The death of Cecil the lion has caused global public outrage, the like of which has never been seen before. On World Lion Day it is also important to remember the many thousands of lions whose welfare, and perhaps very existence, remain under threat from the unethical tourism taking place in Africa today. Lions are not only treated as household decorations for trophy hunters; they also are bred for commercial purposes and used in 'lion parks' as 'photo props' to adorn the Facebook pages of visiting tourists. Sadly, the majority of animal loving tourists who visit these venues are completely unaware of the impact their trip is having on these charismatic wild animals. The misery for the lions begins from birth, many of their lion cubs are taken from their mothers, sometimes only weeks after they are born, so that 'training' can begin. Techniques can vary among lion parks, but typical punishment includes using pain and fear in order to stop any natural aggressive behaviour as they grow older. Whist this training makes lions safer to interact with the paying public, ironically the tourists themselves have no training or concept of handling and interacting with the lions at all. In particular, the constant handling by hundreds of tourist's day in day out, often causes unnecessary stress and injury to these young cubs. When the day ends and the tourists leave, the lions typically return to their dismal barren enclosures, to be fed an unnatural diet, many of which fall far short of meeting even their basic welfare needs. What becomes of these lions when they become adults that are simply too dangerous for direct contact with tourists? Unlike other captive conservation programmes, lion parks do not help boost wild populations, as their lions can never be safely released into the wild. Instead, adult lions are either euthanised, kept in increasingly crowded captive conditions, or may be sold to zoos, lion farms or even private collectors as pets. 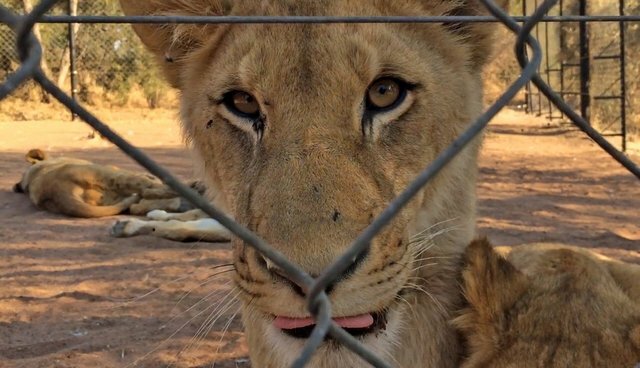 The Park owners are quick to insist that they do not directly supply captive bred lions for 'canned' lion hunting. However, these same owners have recently admitted to World Animal Protection investigators that they possess little knowledge of what happens to their lions after they are sold. So, it is entirely feasible that, the young lions featuring in a tourist's holiday snaps may become the same animals that are later killed by a trophy hunter. From a miserable start in life, they may well experience a similarly miserable end. That's not to say you can't ever experience the delight of viewing the beauty of wild animals, but it is important to do it ethically. Wildlife tourism when done right - such as on a responsible safari where you can view these magnificent animals in their natural habitat - can bring in vital income and help to protect vulnerable wild animals. This is the type of tourism that we should all call for and support. We must make these changes now, to truly protect Africa's lions. If Cecil's death does one thing we hope that it is to give a greater urgency to the tourism industry and governments to urgently act to protect our wildlife. Join the global movement to put wildlife protection on the agenda and reduce the tourist demand for cruel animal entertainment attractions.